Within Teamwork Desk, there are three subscription plans available. 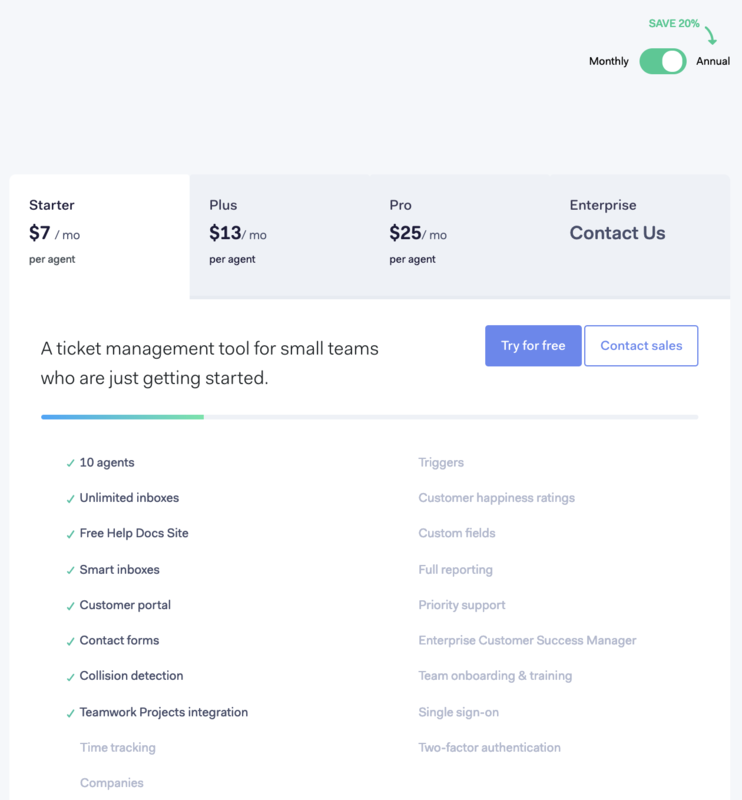 Starter - a ticket management tool for small teams who are just getting started. 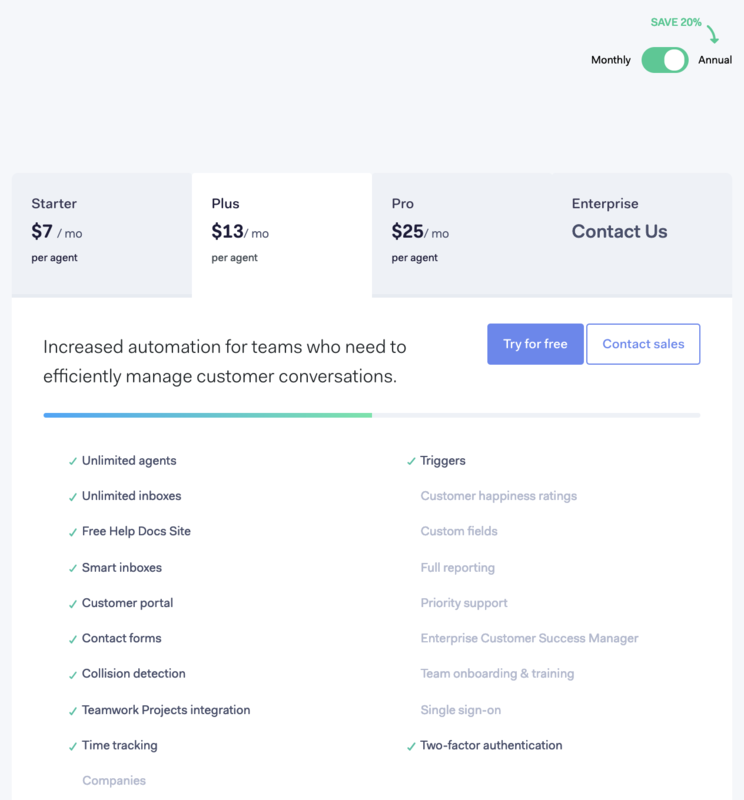 Plus - increased automation for teams who need to efficiently manage customer conversations. 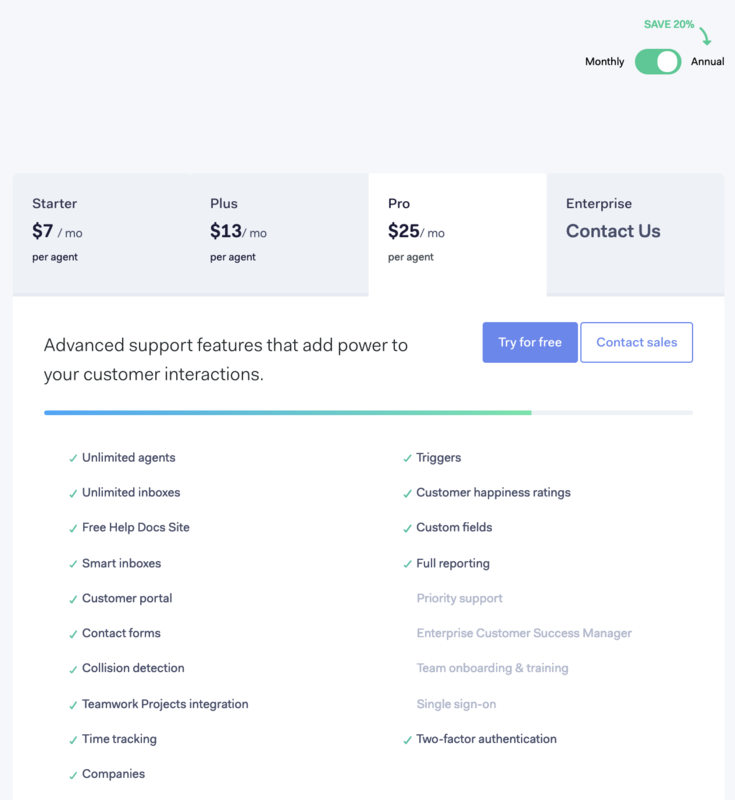 Pro - advanced support features that add power to your customer interactions. You can change your plan at any time. You can find information on our plans on our pricing page. Each plan is available on a monthly or annual subscription. If you add agents during the year, you will be charged on a pro-rata basis, per our payment processor, Stripe. For example, if your billing period was due to finish on September 18th and you added an agent on June 5th you would be charged for 3 months (June - Sept 18th) for that agent, at the time of the change. All plans come with 1 free Help Docs site with unlimited pages. Each subsequent site is $20 per site per month. If you pay annually, any sites added during the year will be charged on a pro-rata basis. Note: For Enterprise pricing options, please contact our sales team.